I am really surprised at how deep this game is. I was expecting it to be a spin-off (and it somewhat is) of the series, but it retains all of the things that fans of the series love. Don't think that this is just a game where you go around shooting zombies. There are still all of the sub-stories, side quests, massage parlors, karaoke bars, and hostess clubs seen in previous Yakuza games. 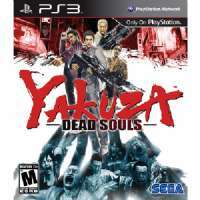 I would basically describe this game as another Yakuza game, but with the brawling gam..